You guys are pretty fun to play games with. Over the last month or so, we’ve tackled both Counter-Strike: Global Offensive and Team Fortress 2 as an army of Sushians. 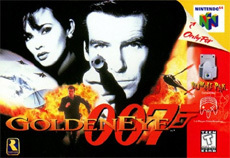 Now, we want to kick things a bit old school with Goldeneye: Source. The best thing about Goldeneye: Source is that it’s free, so that gives more people the opportunity the chance to join in on the N64-ish mayhem on the GS server. First, be sure to download the game, which will require a download of Source SDKBase2007 in order to work correctly. Don’t worry, the game will ask you to install it when you try to run it. We’ll be playing next weekend. To sign up, simply leave a comment below about whether or not you’d be down to game with us, and what day would be best for you. We’ll do our best to accommodate. You can also hit up our GS Steam Group and keep an eye on the event, once the night/time is determined. Update: This is happening tonight, 3/16, at 10PM CST! Be sure to download the game and join us then! Poll: Which Type of Shooter Do You Prefer? Last night, I fired up Halo: Reach for the first time in several weeks. I think it was something of a coping mechanism, since I know I’m going to be holding out on Call of Duty: Black Ops until around Christmas. It was pretty nuts to see everyone on my friends list in the new CoD, and meanwhile I was playing the classic space marine scenario. The funny thing is, I had a lot more fun than I expected to, even though I’m itching for Black Ops more than I can say. One of the things I’ve always loved about Halo is the ability to have these isolated little firefights, epic stand-offs between you and one other player that feels separated from the rest of the match. The only reason this is possible is because of the way the game’s health system works. I remember Goldeneye playing much the same way back in the old days. It seems that as time goes on, more shooters go in a different direction. Like Counter-Strike, the health in CoD pretty much works on the “one shot, one kill” method, which is a big part of what makes it so addictive I think. The ability to respawn and immediately jump back into the fray and rack up more kills has a lot of appeal to it, for a totally different reason than a shooter like Gears of War or Halo. Thinking about these two styles of play, I thought I’d make a poll to see what you guys think. Got a preference? Which type of multiplayer shooter do you prefer? Posted on November 15, 2010 Author EddyCategories FPS, GamerSushi Asks, GamerSushi News, Gaming Theory, multiplayer, PC, Playstation 3, Poll, XBox 360Tags call of duty multiplayer, gears of war, goldeneye, halo reach8 Comments on Poll: Which Type of Shooter Do You Prefer? Ah, Thanksgiving. When we eat and stuff our faces like we might never taste food again. It’s the time of year where we get to play extra video games, and where we long for Christmas to get the last few that we haven’t bought. In light of this holiday, I thought I’d leave you guys a short feature before departing on my great Turkey adventure tomorrow. 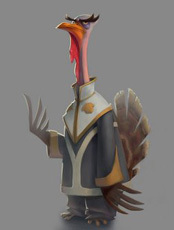 In honor of these great birds on which we feast upon, I wanted to discuss gaming’s biggest turkeys. What do I mean by turkeys? Basically, anything that flopped or completely fell under your expectations. Anything that you devoted your time to that turned out extremely disappointing. That game that broke your heart and that you wanted to be good, but sadly, it just sat there like a lame duck. Er, turkey. Is Co-Op the New Versus? When I think back on the times that define my life as a gamer, the moments that stick out to me typically involve other people. Sure there are those fantastic single player experiences like Mario 64 or Final Fantasy VII that will always stand out in my mind, but something about playing a game together with others seems particularly memorable. To be honest, I think this love affair for me with multiplayer began in the days of the Nintendo 64, the first system that brought that LAN party feel to the console realm. I remember after school, several of us would play through 4 player titles like Goldeneye, Conkers and Wrestlemania 2000 for hours on end. We’d make characters, perfect taunts, and listen to the Bond theme play endlessley while my brother mowed us down with the RPC 90. Continue reading Is Co-Op the New Versus? Posted on October 2, 2008 October 2, 2008 Author EddyCategories Features, GamerSushi News, Gaming TheoryTags co-op, co-op multiplayer, co-operative gaming, goldeneye, multiplayer gaming15 Comments on Is Co-Op the New Versus?